The 'Brief History of Time' author touched the lives of many. On Wednesday, Stephen Hawking’s family announced the legendary physicist had died at age 76. It’s an enormous loss for space enthusiasts of all ages, but physicists tell Inverse there’s an additional layer of sadness for them. Inverse asked physicists across the world to explain Hawking’s greatest scientific achievement, and it’s clear the Brief History of Time author challenged the community to think differently about the universe while touching millions of lives along the way. “It is difficult to single out one result, or even a group of closely related results, and call it ‘Stephen Hawking’s greatest scientific achievement.’ There were so many profound accomplishments across general relativity, quantum field theory, and cosmology that picking just one feels like an act of neglect. But if I had to choose one area, it would be his work transitioning from the classical laws of black hole mechanics to the quantum mechanical picture of black holes as fully thermodynamical objects. In 1973, Hawking, Bardeen, and Carter developed an elegant set of four laws governing the “mechanics” of all black holes — basic rules that explained how quantities like the mass, area of the event horizon, or surface gravity of a black hole change throughout very general physical processes. The rules bore a striking resemblance to the familiar laws of thermodynamics. “I think his greatest achievement was to inspire huge numbers of people to think about space, time, and the origin of the universe — knowledge that before him was stuck in obscure corners of academia,” tells Inverse. “He worked on many vital things in his career, but Stephen Hawking’s most significant and alarming scientific achievement is definitely the calculation that black holes can radiate and thus shrink and die,” he tells Inverse. “It’s a wonderful example of how, by simply and elegantly following through with the set of equations governing theories of nature — in this case quantum mechanics and general relativity — one arrives at a totally bizarre but mathematically sound conclusion. In the case of Hawking-Bekenstein radiation this concept is taken to its extreme, because the math part is pretty mundane and almost trivial, and the conclusion is bonkers. Just by doing a certain type of coordinate transformation near a black hole — that is, just by choosing a different set of coordinates to describe the physics going on, of which there are always many choices in physics, but they should all, at the end of the day, describe the same physics — you end up with the conclusion that particles are being emitted from the event horizon of the black hole! But nothing is supposed to be able to escape from a black hole! 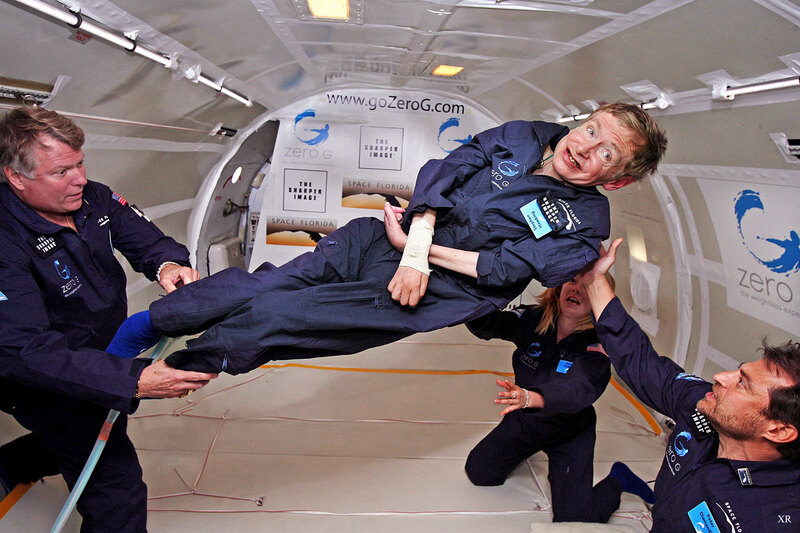 Ad astra, Dr. Hawking. Thank you for everything.